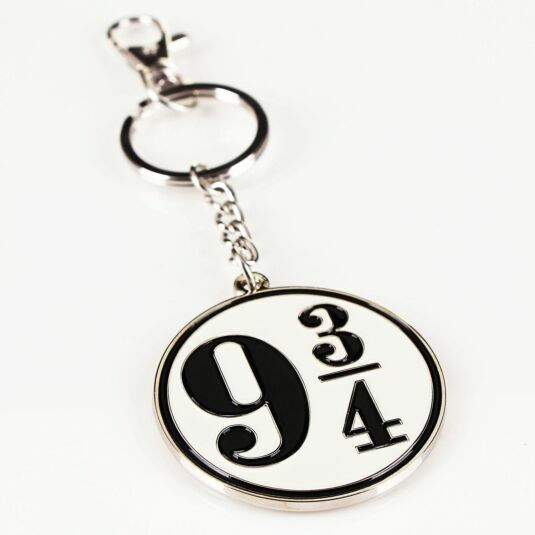 Platform 9¾ at Kings Cross is a magical place, so celebrate the mystique with this silver plated keyring. 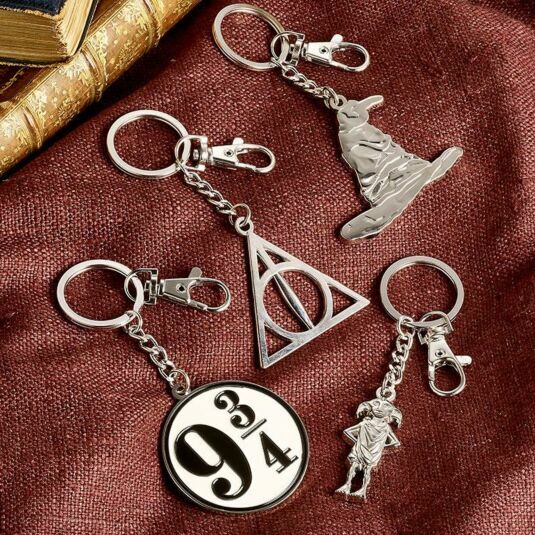 This gorgeous item instantly conjures up images of the magic of Harry Potter, and you’ll inevitably want to bring this keyring with you wherever you go! This item contains a ring for your keys, and a convenient snaphook to attach to anything else, for example your car keys. Furthermore, hanging off the ring is a silver plated chain and attached to the chain is a silver plated charm. This charm is very elegant. It has the numbers 9¾ adorning the front, these numbers coloured black against a cream background. 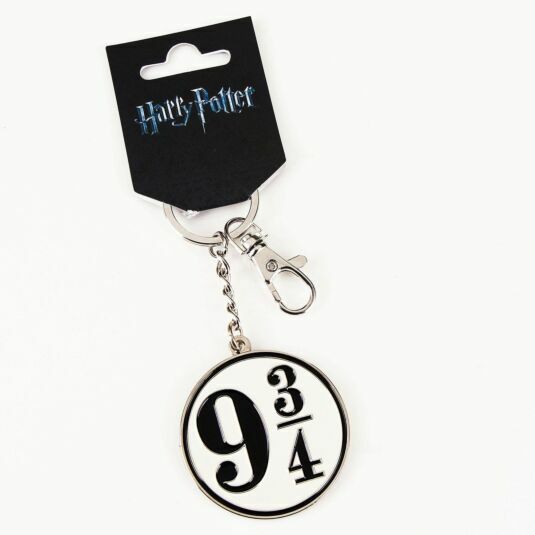 The result is a magical keyring, one that is sure be a great addition to a collection, but is also a brilliant standalone gift. This item comes with official Harry Potter branded packaging.